Looking for a holiday gift idea, something to do with visitors in January or even an outing for yourself? 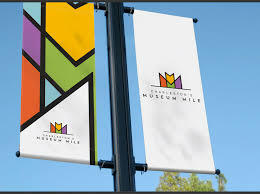 During the month of January 2018, the Museum Mile Month Pass is being offered at a special price. This pass allows you to spend a whole month visiting different venues that depict Charleston’s history. You can visit 11 different sites around downtown Charleston for only $25 for adults and $10 for children. These sites include Charleston’s 18th and 19th-century houses, the Charleston Museum, the Powder Magazine and many more venues that were important in Charleston’s history. Tickets can be purchased online until December 31, 2017. During January, tickets must be purchased in person at the Charleston Visitor Center at 375 Meeting Street. This entry was posted in Organizations, Recreation, The Arts. Bookmark the permalink.